Posted by ayaat in sciences, stories. When the late French President Francisco Mitra took over in France 1981, France requested from Egypt in the late eighties to host mummy of Pharaoh to conduct Archaeological tests and examinations.. When Pharaoh’s royal reception ceremonies on the land of France ended, the mummy carried in parade not less majesty than the reception to a special ward in the French Archaeological centre where the top Surgeons and autopsies in France start to study the mummy and discover it’s secrets. The chief surgeon and in charge of the study on this mummy is Professor Maurice Bucaille. Therapists interested in renovating the mummy, While the attention of Dr. Maurice is an attempt to discover how this Pharaonic king died, in late hours of the night the final results appeared. was the biggest evidence that he died drowning, and his body was extracted from the sea after drowning immediately, Then quickly they carried an Embalming process of the body in order to preserve it. But there was a matter Puzzled him which is How this body remained safer than others mummies although it was extracted from the sea!!! It is a new discovery until someone whispered in his ear, saying: do not rush Muslims talking about the sink of this mummy. But he strongly denounced this news and find it odd, such a discovery Can not be known away of the evolution of modern science and help of most advance computer devices. Someone told him that there “Quran” who they believe in tells a story about his drowning and body preservation after that, Dr. Maurice get more astonished and he start questioning… how this happened??? If this mummy been detected only in 1898 before two hundred year ago, while Quran is available before one thousand and four hundred years? How it fit in mind while all mankind, not only Arabs did not know anything about the ancient Egyptians mummification of pharaoh’s corpses before a few decades of time? 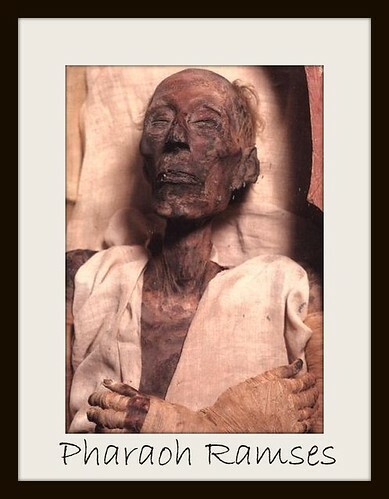 Dr.Maurice Bucaille sat that night, staring on body of Pharaoh thinking carefully about what his college have whispered to him that the Muslim Quran speaks about the survival of this body after drowning !!! While the Bible talks about the sinking of Pharaoh in his pursuit of prophet Mousses (Peace be upon him) without being subjected to the fate of his body .. And he says to himself: Is it conceivable that his mummy is for Pharaoh, who was chasing Moses? Is it conceivable that Mohammed knows this more than a thousand years? Dr.Maurice was unable to sleep, and asked them to bring him the Torah, He went to read..
Torah saying: water Return and covered the vehicles and all Pharaoh Army Knights who entered the sea behind and no one survived. Dr.Maurice Bucaille remained puzzled.. even the Bible did not talk about the survival of this body and its preservation. to interview a number of Muslim Scholars autopsy. he deeply influenced by the verse .. And strongly shake that made him stand in front of attendance and shout loudest voice: I have entered Islam and I believe on this Quran. OF MODERN KNOWLEDGE, what did this book do?